The multi-step flow path created by the LincolnLog trim design, reduces the pressure drop in multiple stages without allowing the pressure to drop below the fluid vapor pressure thus preventing cavitation. These active stages throttle in unison to avoid taking the full pressure drop across any individual stage. Wide flow paths in the Lincoln Log allow free passage of large particles through the unique trim body design without causing any damage or loss of capacity. The Masoneilan LincolnLog valve from GE Oil & Gas offers longterm reliability in high-pressure, liquid-letdown, anti-cavitation control valve applications. 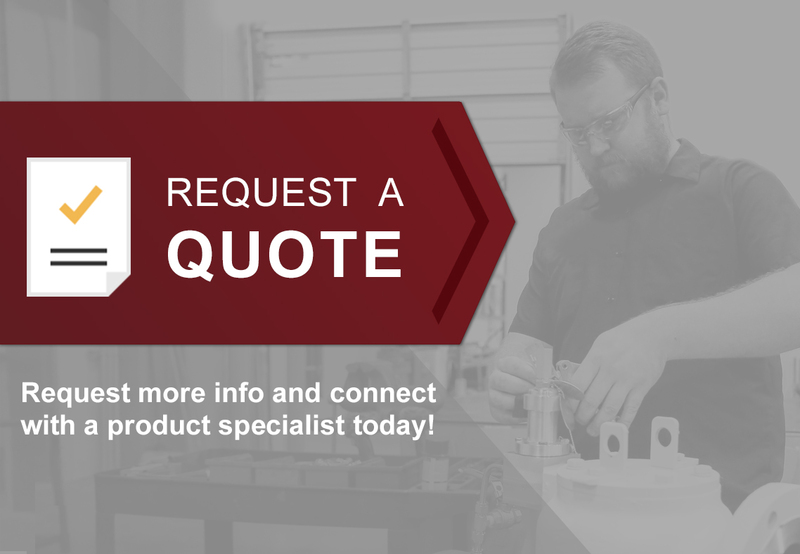 Engineering knowledge and expertise has made us a leader in control valve applications with products such as Flexible Better Fit severe-service solutions. The LincolnLog valve is a control valve solution of choice throughout the wide spectrum of severe-service liquidflow applications. The Masoneilan LincolnLog valve design has more than 20 years of proven field performance as the industry’s premier high-pressure, liquid-letdown solution. The Masoneilan LincolnLog is a reliable and robust anti-cavitation control valve package with enhanced multi-stage and axial flow-trim technology incorporated into a rugged valve design. Over the years, the LincolnLog valve has successfully met the challenges of thousands of severe-service applications around the globe. The LincolnLog* valve is available in a variety of body configurations, sizes, materials, ratings and trim types. The wide variety of trim designs in the LincolnLog valve includes options that offer up to a 150:1 turndown ratio, enabling response to a wide range of process conditions. With a number of combinations of forged or cast valve bodies, standard or exotic alloys, API or ANSI-rated construction, and globe or angle configurations, the LincolnLog valve meets or exceeds exacting industry specifications such as corrosive service (NACE) and Pressure Equipment Directive (PED) compliance. The leading cause of poor control valve performance and premature failure in high-pressure, liquid-letdown service is cavitation. 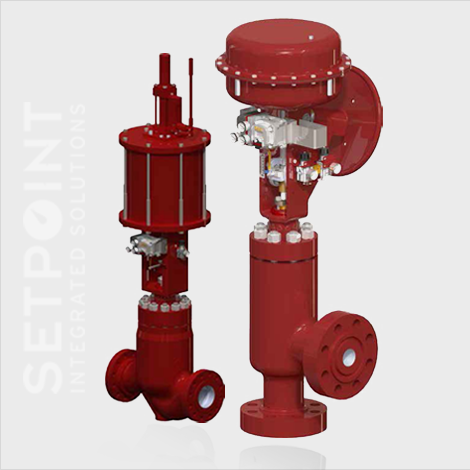 Some liquid applications cavitate so severely that the valve can experience diminished performance or even mechanical failure within hours of commissioning. The multistage design of the LincolnLog valve reduces cavitation by directing the fluid through a series of three-dimensional, high-impedance pressure-reduction areas, or stages. This highly tortuous flow path helps prevent cavitation by managing the pressure reduction and fluid velocity through every stage, promoting repeatable performance during the valve’s life. High trim velocity can intensify cavitation damage inside the control valve. This damage is common in many single-stage valve designs, which take the full pressure drop across a single region within the trim. This single region is typically the leading edge of the plug and seat — an area that experiences the highest velocity. Consequently, it receives the most severe and excessive damage. LincolnLog valve, many radial designs throttle the pressure drop at the innermost radial stage adjacent to the plug-seating surface. When this radial trim is only partially open, the outermost stages are oversized, essentially becoming inactive and voiding any intended staging. In this case, the full pressure drop is taken across the final stage, resulting in high energy release right at the controlling and seating surface of the plug. In contrast, the axial flow design of the BHGE’s LincolnLog valve offers reliable performance throughout the entire range of plug travel. By throttling at all stages in unison, the LincolnLog valve reduces short-circuiting of any pressure-reduction stage, decreasing wear along the leading and controlling edge of the plug. The axial flow technology of the LincolnLog valve helps eliminate damage to any controlling surface (plug, cage or seat) by not exposing any one stage to excessive velocity or the full pressure drop. The LincolnLog valve is repeatedly applied in some of the most severe liquid service applications because of its robust design. Some of the most challenging control valve applications require the LincolnLog valve’s ability to reduce cavitation while withstanding direct impingement from metal, sand or other abrasive particles traveling within the process fluid. For applications such as wellhead chokes and reclaimed oil processing, the LincolnLog valve reduces particle impact damage by minimizing the trim velocity through its high-impedance tortuous flow path. Additionally, hardened materials such as 440C stainless steel and solid tungsten carbide are successfully incorporated into the trim design to further withstand erosive attack. For these applications, the LincolnLog valve offers a reliable and long-lasting solution by combining hardened materials with a low velocity, multi-stage, anticavitation design. Vibration is also a cause of premature valve- trim part failure – specifically, the valve plug and stem. Vibration can be process induced or can be caused by the throttling effects of very highpressure, liquid-flow streams. The LincolnLog valve features oversized stem and guiding areas to overcome premature failure due to vibration. The oversized stem is mated to the plug with a unique male-female coupling configuration that positively aligns the plug and stem. This reduces fatigue failure due to vibration caused by trim misalignment. Secure guiding extends across the full length of the valve plug, as continuous plug guides are present in each of the staged reduction areas. The axial flow technology of the LincolnLog valve offers a smooth control characteristic across the entire range of operation. Each pressure reduction stage is throttling simultaneously across the plug, thus avoiding the stair-stepped control response that is commonly found in valves with radial flow designs. The smooth and continuous throttling control of the LincolnLog valve is achieved by the notches, or stages, in the plug design. The unique notched design coupled with the staged liner and cage enables the LincolnLog valve to control process conditions over an extremely large range of operation — in some applications up to a 150:1 turndown ratio. burn-out or overheating of this critical piece of equipment. The LincolnLog valve can be applied in this service as flow will continue to recirculate with no risk of interruption resulting from blocked flow passages. BHGE’s smart instrumentation including the SVIII AP (HART® digital positioner) and the FVP (FOUNDATION Fieldbus™ Positioner) allow for greater sensitivity and increased control accuracy. Our digital positioners also increase the repeatability and reliability of the control valve assembly, allowing for the precise control enabled by 1/10,000th of an inch plug travel resolution. Both positioners are available in single- or doubleacting configurations. Many valve applications result in poor shutoff or excessive seat leakage after short-term use because the seating area also serves as the primary control element. Designs that throttle the flow near the seating surfaces often experience high fluid velocity in this region and direct the pressure drop across the leading edge of the plug and seat. Once early signs of erosion or wire drawing develop on the seating surface, quick deterioration of valve shutoff performance follows as a result of the high pressure drop condition. The Masoneilan LincolnLog valve is configured to maintain long-term shutoff by separating the two functions of shutoff and control into separate areas within the trim. As the plug lifts off the seat, fluid begins to fill the first plug chamber until the valve is approximately 15 percent open. With continued travel, the downstream stages begin to open and the fluid is throttled using the remaining trim stages. Thus, the seating surfaces are never used for throttling at low flow, which commonly produces erosion damage in radial flow designs. This seat protection feature is critical for process startup valves since they are typically used to throttle high upstream pressure down to near vacuum conditions for downstream deaerators or condensers at low plant loads. Shutoff performance consistent with ANSI/FCI Classes IV, V, and VI, as well as MSS-SP-61, is available with the LincolnLog valve. For temperatures up to 600 °F (316 °C), we offer a TFE-inserted, soft-seat design for tight shutoff. This soft seat is protected by a sliding metal collar that shields the TFE from direct exposure to the flow stream and erosive particles when the valve is open. Maintaining long-term shutoff is critical in high-pressure liquid service, as high-pressure differential leakage may lead to wire drawing, cavitation, or flashing damage to the valve, downstream piping, or other equipment.